Find hotel near Planetarium Of The Royal .. If you always feel curious about the stars and the galaxy, you can certainly plan a trip to the Planetarium of the Royal Observatory of Belgium. 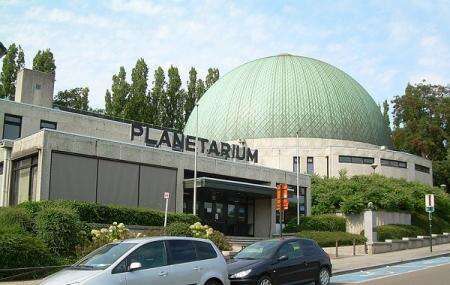 This planetarium is a significant section of the Belgian Federal Science Policy Office. You can come here to check out the planets along with Sun and Moon and the marvellous Milky Way. The dome of this planetarium can project 8,500 stars and more than that. Not only adults, but kids also like to come to this place as they get to use many interactive items here. In a fun-filled way, you can learn a lot about the galaxy. Your worry of where to stay in Brussels is sufficed by bunch of interesting and comfortable lodging options in the Brussels like Easyhotel Brussels City Centre, Aparthotel Adagio Brussels Grand Place and Hotel Esperance. Draft the best Brussels vacation packages using ideal templates offered by TripHobo. Also explore how to reach Brussels on the go! It was small but had great video about solar system and climate change. The Planetarium's most attractions and machines are constantly closed for repair and it is very small but with the small amount of machines that actually work, there are alot of interesting facts and lots of information; additionally, there is a very interesting film at the end. The staff was so rude... Smile was not expected but no need to give you a disgusting face like you are disturbing her. Not even bother to see the flim. It’s bad, nothing works was ignored by staff, paid but the planetarium was locked.